NASA's New Millennium Deep Space 1 spacecraft approaching the comet 19P/Borrelly. 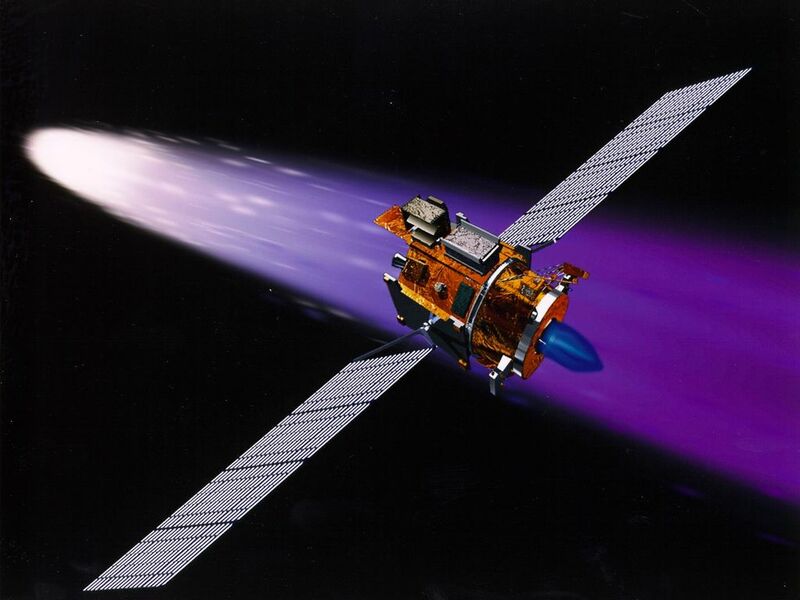 With its primary mission to serve as a technology demonstrator--testing ion propulsion and 11 other advanced technologies--successfully completed in September 1999, Deep Space 1 is now headed for a risky, exciting rendezvous with Comet Borrelly. 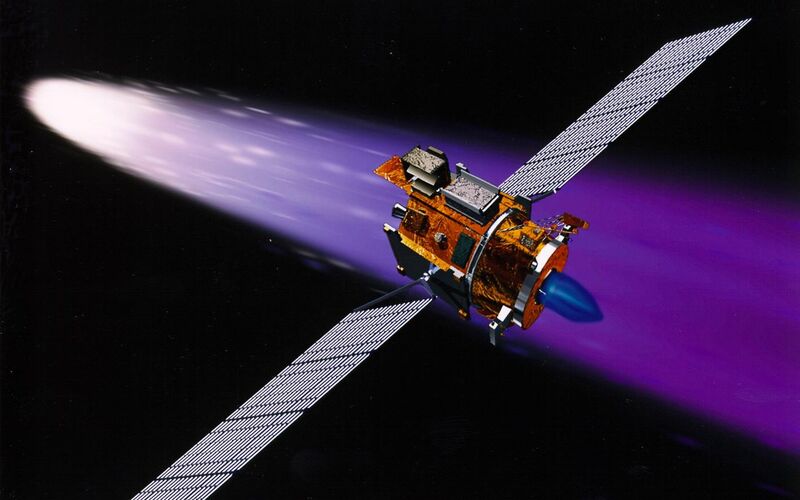 NASA extended the mission, taking advantage of the ion propulsion and other systems to target the daring encounter with the comet in September 2001. Once a sci-fi dream, the ion propulsion engine has powered the spacecraft for over 12,000 hours. Another onboard experiment includes software that tracks celestial bodies so the spacecraft can make its own navigation decisions without the intervention of ground controllers. The first flight in NASA's New Millennium Program, Deep Space 1 was launched October 24, 1998 aboard a Boeing Delta 7326 rocket from Cape Canaveral Air Station, FL. Deep Space 1 successfully completed and exceeded its mission objectives in July 1999 and flew by a near-Earth asteroid, Braille (1992 KD), in September 1999.